Mosaic Private Sanctuary lies nestled within milkwood trees on the edge of the Hermanus Lagoon. 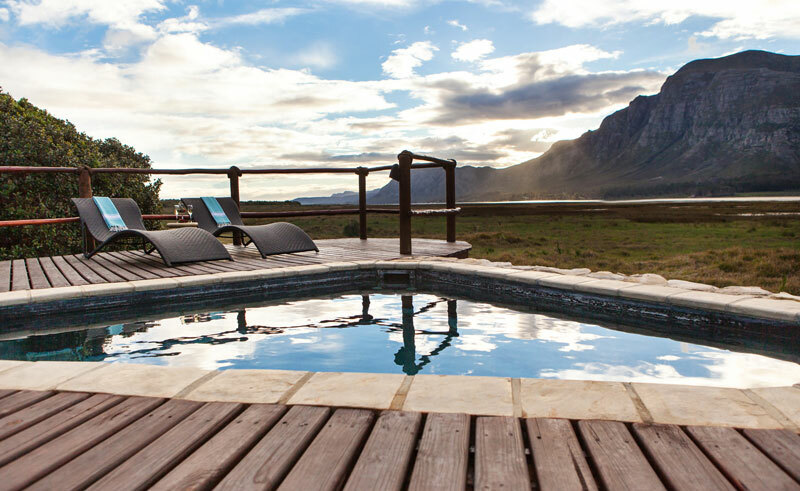 Mosaic is the perfect location for nature lovers; surrounded by stretches of water and the dramatic Overberg Mountains, the property extends out to a secluded section of Walker Bay and pristine nature reserve. 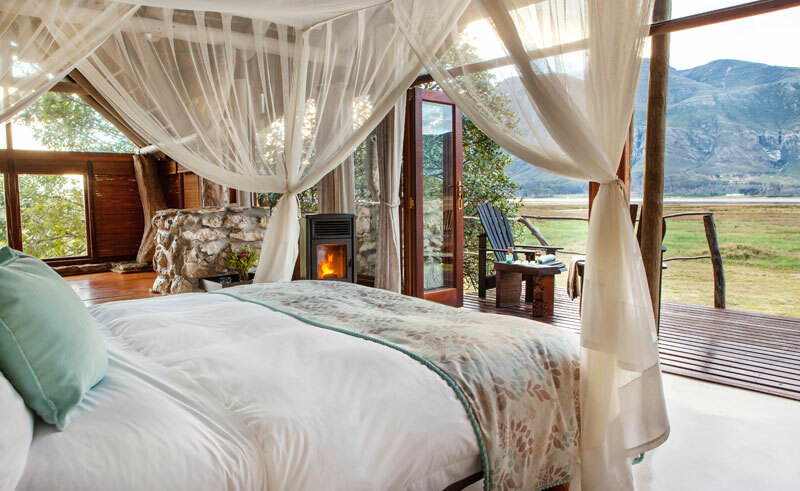 Five thatched chalets lie on the lagoon edge, their stone and glass structure creating a peaceful haven. 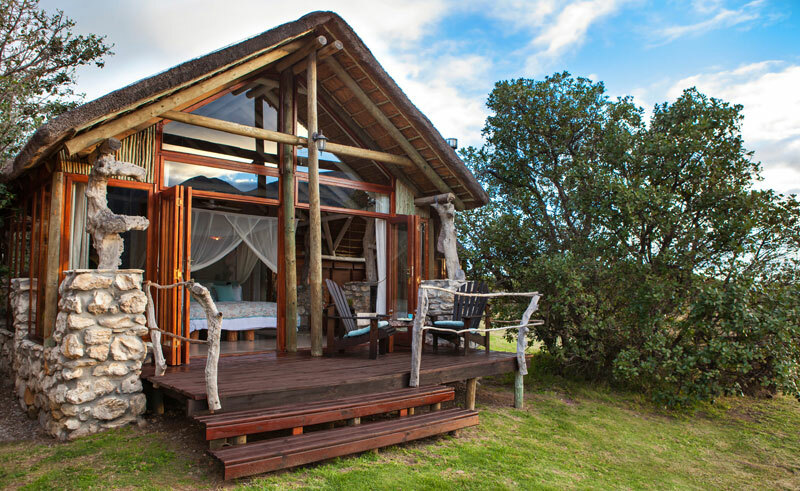 Each suite boasts a private deck and mountain vistas. 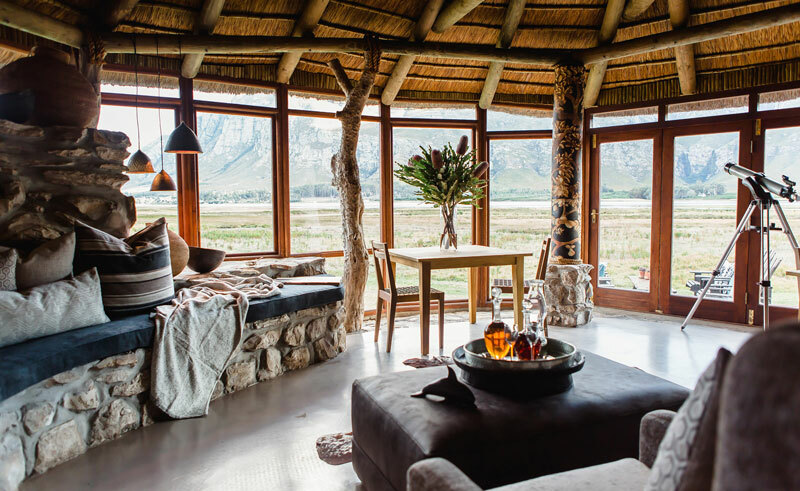 Lagoon Lodge affords lovely spaces for guests to relax, whilst admiring the panoramas through glass walls, or soaking in the heated plunge pool. The historic Spookhuis Country Café provides picnics under shady trees, and guests may enjoy gourmet dinners paired with fine wines in the dining area, or in the boma, under the night skies. Spa treatments can be enjoyed indoors or outdoors under a private lush canopy of milkwood leaves overlooking the lagoon, where you can also enjoy a hot invigorating outdoor shower. Activities include boat cruises on the Hermanus Lagoon, kayaking, guided nature walks and 4×4 beach excursions. Hop into an open 4×4 vehicle and discover fynbos, birds and the pristine Walker Bay Beach and nature reserve and enjoy beautiful sunsets over the ocean. Between June and December, Southern Right Whales migrate from Antarctica to the shelter of Walker Bay to court, mate and calf. Whales can be viewed from the top of sand dunes while sipping a drink. 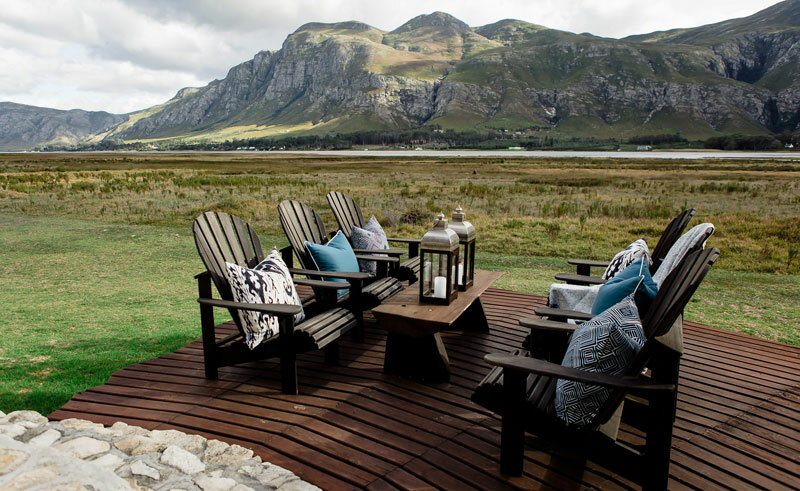 Board the ‘Spirit of Agnus’ from the shores of Mosaic on the Hermanus Lagoon for an excursion among water birds and the towering Overberg Mountains. The cruise goes to a bird sanctuary or to the mouth of the lagoon where it opens into the Atlantic Ocean. Drinks and snacks are enjoyed while cruising. Glide in a kayak on the lagoon to encounter the stunning blue cranes and water birds in the natural wetland at Mosaic, which is a proclaimed bird sanctuary. Alternatively, kayak to the mouth of the lagoon to the beautiful white sand of Grotto Beach. The Cape Floral Kingdom is a true wonder of the world, having the richest density of plant species on earth; 8,600 with almost 6,000 occurring nowhere else on earth. Fynbos is Afrikaans for ‘fine bush’ and is a unique type of vegetation that formed millions of years ago from ashes of drought-stressed forests. You will be guided along the lagoon edge and wetlands to discover the intricate plant-animal relationships and the importance of conserving this unique floral kingdom. Whether bird watching from a private deck or on a guided walk, the birdlife at Mosaic will delight enthusiasts. Over 140 bird species call Mosaic home. Water birds along the shoreline are as numerous as the species that are found on fynbos covered limestone ridges. Blue cranes nest in the bird sanctuary at Lagoon Lodge, flamingos traverse the lagoon en masse and pied kingfishers can be watched hunting for food. Owls can also be spotted day and night. Just down the coast from Mosaic lies one of the most important archeological heritage sites in the Western Cape, Klipgat Cave. This cave system was formed millions of years ago and it is believed was occupied by humans up to 70,000 years ago. The KhoiKhoi people occupied this cave system and lived on shellfish and animals in the area at that time. The cave can be toured and an 8km beach walk can be enjoyed along with sundowners on the beach and a 4×4 trip back to the lodge.